What is the Nature of fishing? And how does one explain and use it to help turn a bad fishing day into a successful one? Webster describes Nature as “The Universe and its Phenomena” “Having to do with one’s own character or Temperament”. If I was to ask you to accompany me on an Elk hunt in Wyoming during the month of October, how would you prepare for such an expedition and what would you bring? It’s obvious that a pair of shorts and a small 22 caliber rifle would not even be close to the right equipment to have along on such a hunt. And even with the right equipment, if you did not employ a guide or have the working knowledge of your preys habits, personalities, preferences, likes and dislikes, your chances of a successful hunt would be in question. This same theory applies to fishing, rather you have all the right equipment or are completely in the dark about the where, when and how of any particular specie. In other words, you don’t take your 8 foot downrigger rod on Grandpas small lake for crappie. Because the Nature of the fish you’re pursuing, calls for quit a different approach and technique if you want to be successful. This fact is often the big difference between guys who always seem to catch some fish, no matter what the circumstances, and others who have all the right gear and get skunked time after time. These successful guys usually/most likely, know a lot more about their prey’s habits and their Nature and how most of the variables, such as wind, fronts, feeding preferences and cycles affect them. Part of knowing the Nature of the animals and other prey we pursue, and being successful while doing so, is knowing their instincts. Walleye and all fish species are creatures of pure instinct. They do not have a thinking brain as we humans do. They do not rationalize, wonder about things or purposely stay away from anybody’s lure because the individual is unlucky. The lure may be running to high/low/fast or slow, it may be to big/tall/fat or small, but not for any other reason. I believe fish can learn through repetitive actions, but only for a short period of time. For instance a fish that is caught and released may not bite again that day, but probably will the next. To many people who pursue fish of all species give them too much credit for figuring things out. They have an internal clock and body functions that tells them everything. This clock tells them when to spawn, feed, and rest. They are driven to both react and interact with everything around them at certain times of the year, but the hunger and feed instincts stay supreme. There are certain times of the year when they often throw caution to the wind and actively feed on anything that swims. Other times when they are almost tuned in to a certain size or type prey in a given system and at certain depths or locations. 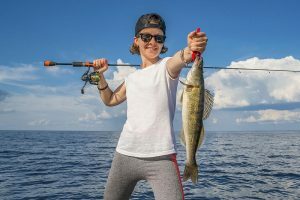 Knowing the Nature, cycles and instincts of the bait fish in your area, can also help you narrow the hunt for that perfect bait or lure, as well as when and how to use it. 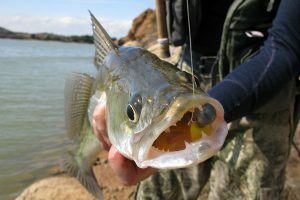 Many bodies of water are unique onto themselves when it comes to certain bait types and their cycles. Even the specie of the baitfish and how abundant and desirable they are to the predators is a variable worth knowing and studying. 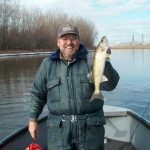 Study and understand all the instincts and seasonal cycles of these baitfish and finding and catching walleye will become a lot easier. Not knowing all the preferred prey species on varied bodies of water or how they interact given certain times and seasonal movement patterns, I’ll stick to the body of water I’m more in tune with Saginaw Bay being my home waters, I’ve had years to study its ever changing ecosystem. Of course, this has been and will continue to be an ongoing study, given the ever changing long list of foreign aquatic invaders introduced in recent years. And each one either finds its way into the food chain or adds another variable to balance or unbalance the existing one. This can force the Nature and instincts of the predators to change if this means either feast or famine in the course of this change. The Bays most abundant baitfish is the Shad and Alewife. Both are closely related and grow at different rates and will mature to be different sizes at adulthood. 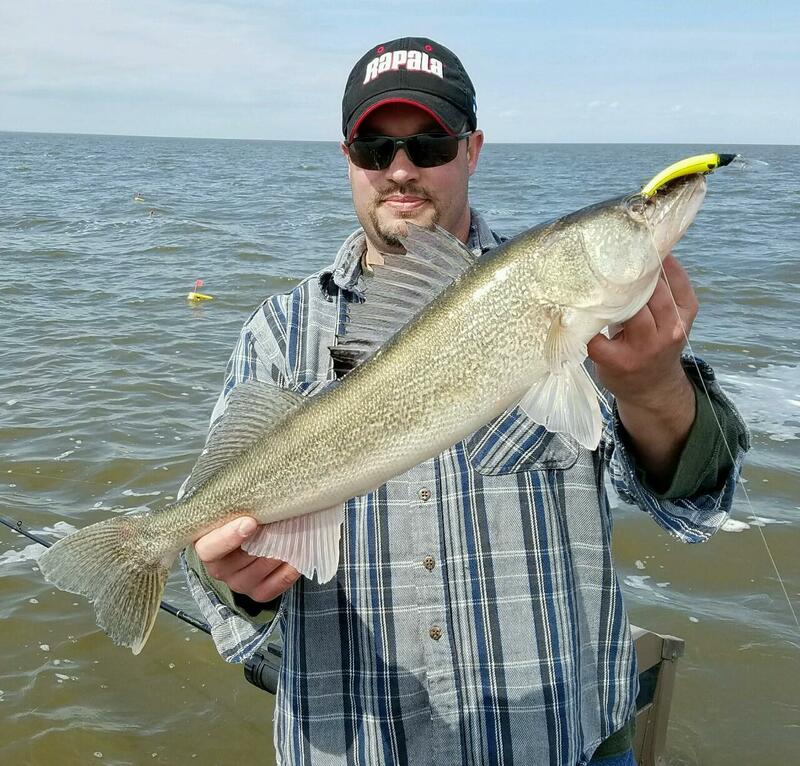 Right now and for years, this specie seems to have been the prey of choice for our walleye. 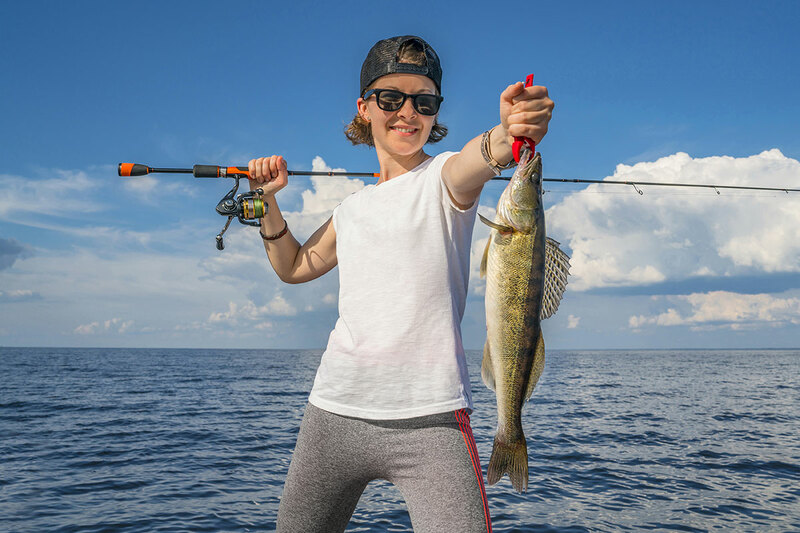 Their movements and schooling activity determine greatly where you find the most walleye feeding activity. 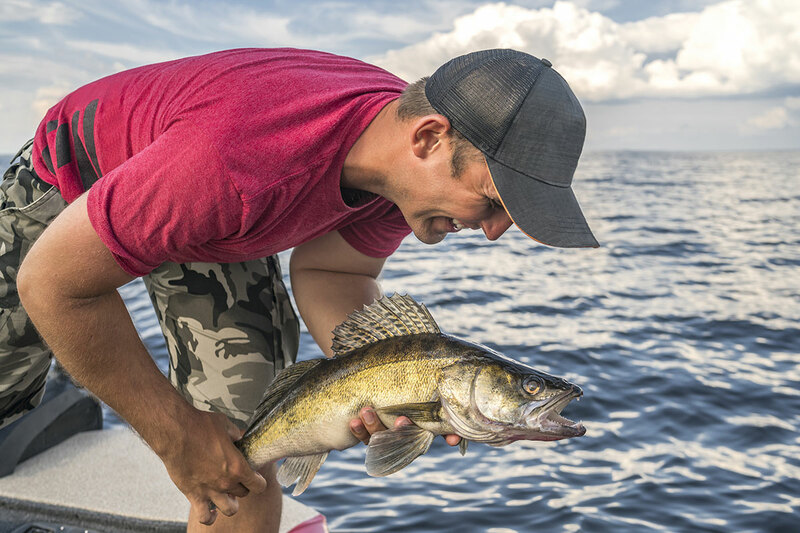 Other prey of course makes up the diet of a regular foraging walleye on the Bay. 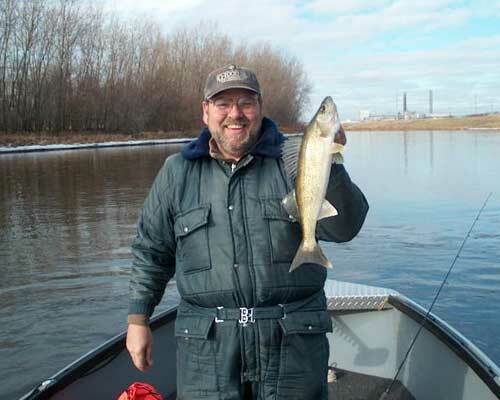 But it seems to be these little guys who will often make a walleye act out of character in their pursuit. A good example would be that I’ve caught walleyes in hot water discharges approaching 90 degrees. Where alewife’s had been attracted to feed on plankton growths during the summer. I’ve caught them in rivers, in open sunlight and crystal clear water 3 feet deep or less, while chasing alewife and shad. Now, the sunlight and the reportedly sensitive eye’s theory of the walleye, has never been true as far as I’m concerned. But, I’ve seen too many (out of character) stunts pulled by walleye when chasing their favorite food to think it’s a fluke. Shad and alewife are actually tropical fish species. They can tolerate cold water, are killed in droves by extreme cold water and will always seek out warmer waters when available. This favored baitfish instinct fact, along with the spawning instinct, drives the seasonal movement of the walleyes during their migration. 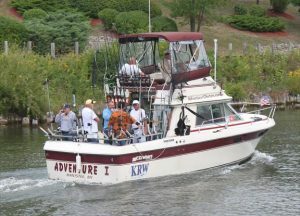 both into and out of the rivers that empty into the Saginaw Bay. Along with their movements in the innner Bay after the spawn and into the summer months. Often, a warm, heavy rain in September will key the baitfish to enter the rivers and the walleyes will fallow, and stay in the river system until early spring when they spawn. the Nature and Instincts of both the predators and prey of all the species I pursue. Knowing the Nature, Instincts and seasonal habits can only help when formulating a fish catching game plan during anytime of the year on any body of water. Its not rocket science, just pay close attention. And if you have the passion for fishing like I do, you’ll get an A on your next fishing Test.